Raise a Green Dog! : Energy saving tricks you can teach your green dog! Energy saving tricks you can teach your green dog! 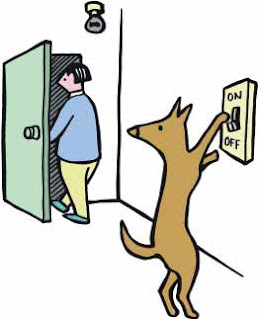 Dogs can save energy too! How? By turning off a light switch, recycling those cans, putting the newspaper in the recycle bin, and more. 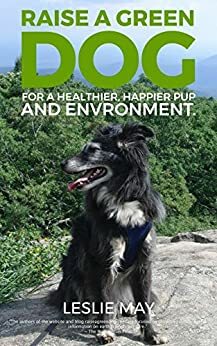 How your pup can help you around the house and help reduce your family's carbon footprint is unlimited by your imagination! Before you get started teaching your dog these wonderful and helpful tricks, we recommend that you watch this video of an overview of clicker training. Clicker training is a wonderful way to help your pup learn - easily, effectively and with loads of fun. Just ask me, I love my clicker! Here's a great video of just some of the tricks that Service Dog Tauri, the Pit Bull, can do. He's got his work down! It's incredibly rewarding to watch your dog learn, and discover new talents and tricks. Remember to make it positive, make it a game, and make it fun! Photo courtesy of: Australian Government, Department of Environment, Water, Heritage and the Arts. Visit their page for some energy saving tips.